He founded Washington DC based Alta Plana Corporation, an information technology strategy consultancy, in 1997. He created and organizes the Sentiment Analysis Symposium and LT-Accelerate conferences and was founding chair of the Text Analytics Summit (2005-13). Seth consults, writes, and speaks on business intelligence, data management and analysis systems, text mining, visualization, and related topics. Follow Seth on Twitter at @SethGrimes and check out his LinkedIn profile and Slideshare shares. Via Alta Plana, Seth has consulted internationally for many private-sector and governmental organizations, has written a couple of dozen white papers and research reports and hundreds of articles for outlets that include CMSwire, CustomerThink, GigaOm, GreenBook, InformationWeek, KDnuggets, O'Reilly, Quirk's, Social Media Explorer, and Venture Beat. He has presented workshops and has spoken at many conferences in addition to the ones he has organized or chaired. Prior to founding Alta Plana Corporation, Seth Grimes was Director of Server Technologies at Magnet Interactive Communications (1996-7), a now-defunct new media and Internet-services company in Washington DC, with hands-on responsibility for database design and administration across the company's projects. He served as Technical Director on a number of projects -- Radisson Hotels' first online reservation system, a business-to-business extranet for FedEx, the first Mercedes-Benz (NA) Web site -- and helped build sites for Nissan, Kellogg's, and National Geographic. 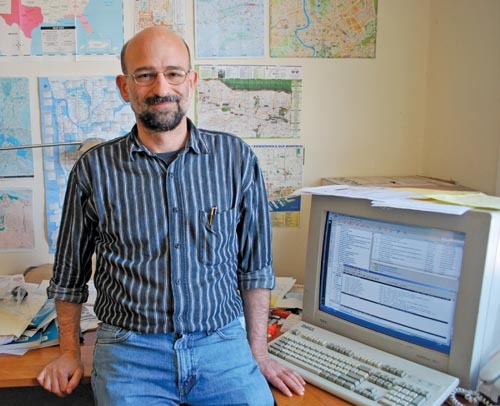 Seth's prior position, from 1995 to 1996, was as a consultant at the International Monetary Fund, where he managed the selection of new desktop economic time-series management software and developed a Web system for the publication of international economic information called the Dissemination Standards Bulletin Board. Before joining the Fund, Seth worked from 1992 to 1995 for the Organisation for Economic Co-operation and Development in Paris. In addition to working on OECD statistical databases, he was the official Internet evangelist and did initial services planning. As at the IMF, Seth's primary OECD task was with economic data systems -- architecture development, software evaluation, and proof-of-concept testing -- including hands-on coding. Prior to his OECD stint, Seth worked as a contractor at US government agencies including the National Highway Traffic Safety Administration, the Federal Aviation Administration, NASA's Goddard Space Flight Center, and the Naval Surface Weapons Center. Seth earned a master's in mathematics at the Univ. of Washington in Seattle and a bachelor's in mathematics and philosophy at Wesleyan Univ. in Middletown, Connecticut. He and family reside in Takoma Park, Maryland near Washington D.C.
Federal News Radio, September 9, 2009, "Analyst: USASpending.gov needs serious improvements"
Mark Rittman, "Seth Grimes on Text Mining," 2003 November 30. Please contact Alta Plana to learn how you can put our expertise to work for your organization ••• Our data use policy.